For as long as I can remember, I’ve heard that getting seven to eight hours of uninterrupted sleep every night is the best option for good health. In fact, at times, I’ve heard it’s the only option for good health. Well I don’t know about you, but many nights I find it nearly impossible to hit this minimum requirement! I admit that some nights, I find myself awake at 3 a.m., wondering what the heck is wrong with me and when I’m going to start dreaming again. But recently, I heard about a new way of customizing my sleeping patterns that might help me get the sleep I need. It could be the answer for you, too! Humans didn’t always sleep in big six- to eight-hour chunks. In fact, there is some reasonable evidence that shows people didn’t start sleeping like that until the 19th century. Prior to that, humans used something called biphasic sleeping to rest and recharge. Biphasic sleeping involves splitting your sleep into two shorter chunks. Research shows how people would typically fall asleep a few hours after dusk, awaken about four or five hours later, stay awake for a short time, and then go back to sleep until morning. If an afternoon nap is out of the question for you—it certainly is for me—then breaking sleep up at night might be worth a shot. When you wake up at 3 a.m. and can’t get back to bed, then get up and leave your bed. Perhaps write down some thoughts, do some reading, or have a cup of decaffeinated tea. Use the time to think, collect your thoughts, and perhaps bring some clarity to the things that keep you up at night. Stay away from the bright lights of your television set, smartphone, or tablet if possible. Consider even spending your quiet time the good old-fashioned way—by candlelight, pen and paper, or a book. After a couple of weeks, if it isn’t working for you, try another approach. If you’re not waking up naturally during the night and only find yourself sleeping for six hours, for example, it might be all you need. Only you can gauge how tired you are! Ekrich, A.R., “Sleep we have lost: Pre-industrial slumber in British Isles,” The American Historical Review April 2001; 106(2): 343–386, doi 10.2307/265161. Jenkin, M., “Lying Awake at 3 am? 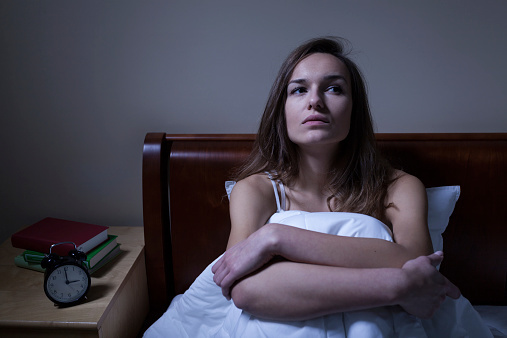 Perhaps you should try biphasic sleeping,” The Guardian web site, October 9, 2015; http://www.theguardian.com/small-business-network/2015/oct/09/awake-3am-entrepreneurs-biphasic-sleep-insomnia.